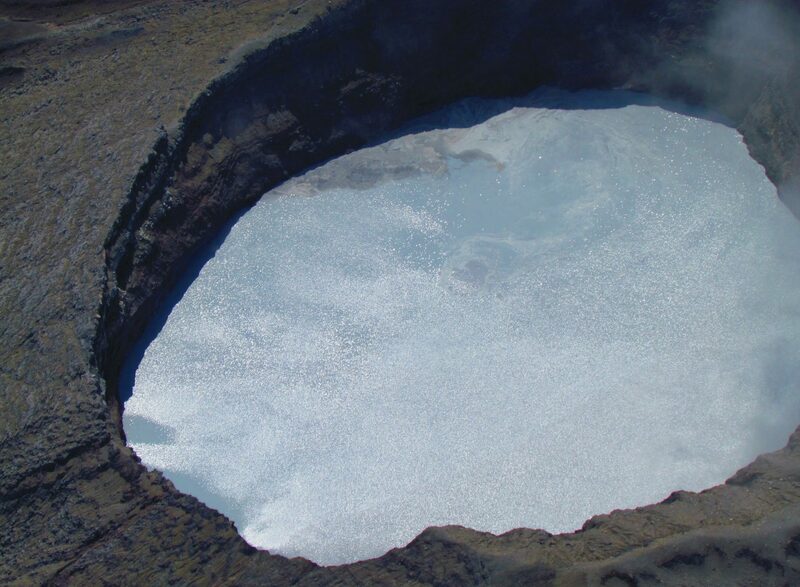 The Commission on Volcanic Lakes (CVL) is a scientific non-profit community of the International Association of Volcanology and Chemistry of the Earth’s Interior (IAVCEI), unifying researchers that seek to understand how volcanic lakes relate to volcanic activity and hazards. The citations below will soon convince you that there are innumerous reasons to profound our knowledge on volcanic lakes, and… for the CVL community to exist. Lake Nyos, Cameroon. picture by D. Rouwet. “… in the craters of active volcanoes and their related streams are often characterized by conditions considered extreme for life, such as high temperatures, low pH and very high concentrations of dissolved metals and minerals.” (Mapelli et al. 2015, Volcanic Lakes, Springer).